Apple recently came out with some huge news as CEO Tim Cook and other senior figures aired a live announcement from New York. Alongside the MacBook Air and Mac mini, the brand new iPad Pro and amazing accessories were unveiled to the world and we’re here to tell you all about them. 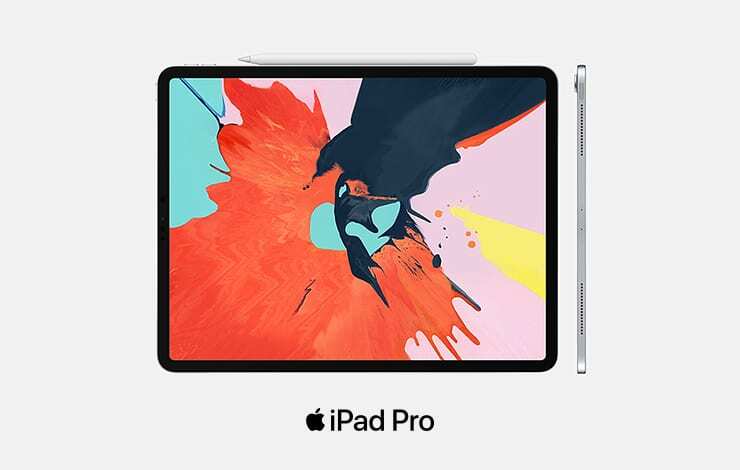 The biggest product update is the new iPad Pro, which has been entirely redesigned and packed with the latest and greatest technology. Like the iPhone X series, the iPad Pro has waved goodbye to the home button, making the screen larger on the 12.9” and brand new 11” models. The Liquid Retina display goes from edge to edge and ProMotion technology really brings the screen to life. As for the design, it’s a whole new product. The iPad Pro is flatter and lighter than previous models. It’s 25% smaller but offers a much more powerful system. The reengineering of the system is fully supported by the brand new A12X Bionic that delivers 2x faster graphics than before. This makes the iPad Pro the greatest machine for augmented reality. It also makes an ideal gaming system as well as a tool for production. Your iPad Pro will be able to do more than ever before. With USB-C, you can connect other accessories such as cameras, as well as charge your iPhone. The iPad Pro is not just a tablet, it’s an entire workspace. With just two accessories (sold separately), production can be taken to a whole new level. Like the new iPad, the Apple Pencil has been redesigned and reengineered to better suit the needs of the user and extends the capabilities of the machine. The Apple Pencil can now pair and charge wirelessly when attached magnetically to the side of the device. Apps now work seamlessly with the Apple Pencil and it’s more than just a pencil. Just double tap on the accessory to change tools – it’s the creator’s new best friend! The Smart Keyboard Folio has also been redesigned. It now acts as a case as it covers both the front and back of the iPad Pro, offering further protection when on the go. The iPad Pro is now available to pre-order at Sync.